The World Nuclear Association is the global private-sector organization that seeks to promote the peaceful worldwide use of nuclear power as a sustainable energy resource for the coming centuries. Specifically, the WNA is concerned with nuclear power generation and all aspects of the nuclear fuel cycle, including mining, conversion, enrichment, fuel fabrication, plant manufacture, transport, and the safe disposition of spent fuel. Supporters of Nuclear Energy (SONE) is a group of individuals of many different disciplines, interests and backgrounds. They have one objective: To promote an informed debate about nuclear’s place in global energy supply and how it can help power the world’s economic development in a sustainable way. They now offer a NucNet news service and have a lot of briefing listed in downloadable form while, at the same time, providing, among many other things, and Nuclear Issues. 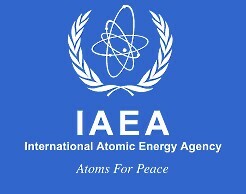 The International Atomic Energy Agency (IAEA) is the world’s centre of cooperation in the nuclear field. It was set up in 1957 as the world’s “Atoms for Peace” organization within the United Nations family. The Agency works with its Member States and multiple partners worldwide to promote safe, secure and peaceful nuclear technologies. The Nuclear Institute is the only membership organisation for Nuclear Professionals. The institute was created on the 1st January 2009 from the merger of the British Nuclear Energy Society and the Institution of Nuclear Engineers. The Nuclear Decommissioning Authority has strategic responsibility for the UK’s nuclear legacy. We are decommissioning a number of civil public sector nuclear sites safely, securely, and cost effectively, whilst protecting the environment. The Nuclear Industry Association is the trade association and information body for the UK civil nuclear industry, representing over 130 companies. The range of member companies continues to grow and includes companies involved in most business sectors of the UK civil nuclear industry. The mix of services and products offered by members is extensive and spans the entirety of the supply chain. UNSCEAR was established by the General Assembly of the United Nations in 1955. Its mandate in the United Nations system is to assess and report levels and effects of exposure to ionizing radiation. The Renewable Energy Foundation is a registered charity encouraging the development of renewable energy and energy conservation whilst emphasizing that such development must be governed by the fundamental principles of sustainability. The UK Energy Research Centre’s mission is to be the UK’s pre-eminent centre of research, and source of authoritative information and leadership, on sustainable energy systems. The Centre was established in 2004 following a recommendation from the 2002 review of energy initiated by Sir David King, the UK Government’s Chief Scientific Advisor. The Institution of Mechanical Engineers (IMechE) is a registered charity who aim to encourage and champion Mechanical engineers in the UK, from studentship through to professional chartership. Nuclear Energy Insider, founded in 2010, is a leading provider of business intelligence to the nuclear energy community. They provide original content to over 25,000 professionals globally using interviews with industry experts. Environmentalists for Nuclear Energy – USA is a non-profit organization based in Denver, Colorado, USA.